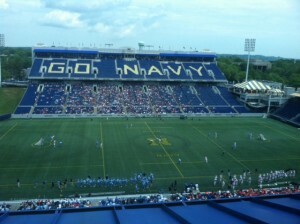 Syracuse and Johns Hopkins met for the 13th time in the NCAA Tournament Sunday in a game played at Annapolis, Md. Annapolis, Md. 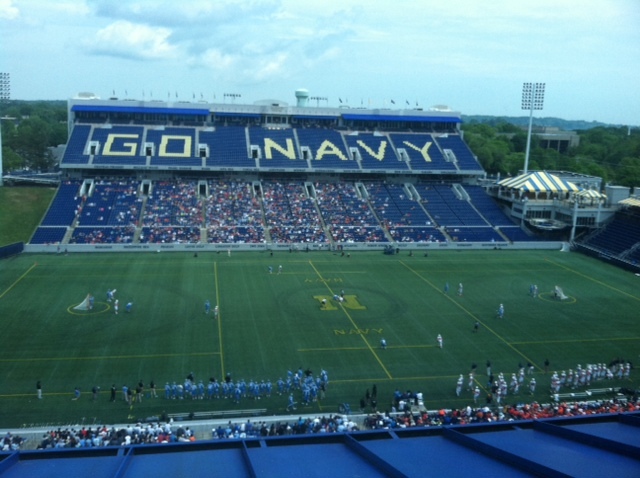 – A quick take on Syracuse’s disappointing 16-15 NCAA quarterfinal loss against Johns Hopkins, on an overcast and humid Sunday afternoon at Navy-Marine Corps Memorial Stadium. WHAT HAPPENED: Despite taking its first lead in the final 1:07 of the first half to go up 7-6 at intermission, SU couldn’t contain the Blue Jays offense in the second half, with many JHU goals either coming from in-close to the crease or unassisted following slick offensive movement of the ball. 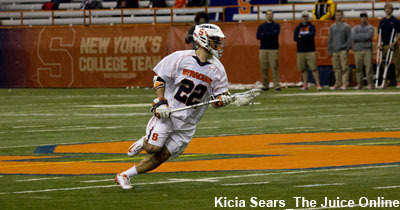 A late ‘Cuse rally, after trailing by four goals twice late in the fourth quarter, ran out of time in the final minute of the game. 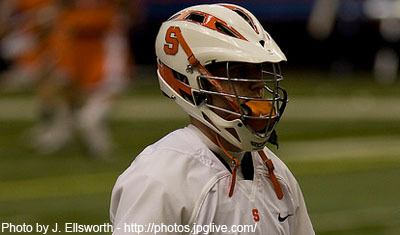 SU goalie Bobby Wardwell had a tough time stopping shots (44 total) with so much action constantly around the cage. SU also committed 12 turnovers, many at inopportune times in the offensive end. WHAT IT MEANS: A frustrating and tough way to end the season after garnering the No. 2 seed in the tournament, to fall to JHU after beating the Jays 13-10 in the regular season. Syracuse misses out on its bid for a 27th appearance in the national semifinals, and it will be at least another year before the Orange can compete for a record 12th national championship. STAR GAZING: Hopkins terrific brothers Wells and Shack Stanwick combined for 12 points, The senior Wells, in particular, had several pretty goals among his four total. Dylan Donahue had three goals and two assists to lead the Orange, Nicky Galasso and Randy Staats also had three goals apiece. WHAT’S NEXT: Fall practice, following the end of John Desko’s 17th season guiding the program and a 13-3 record. The team loses seven key seniors, including leading scorer Kevin Rice (seven points Sunday), starting defenseman Sean Young, the three starting midfielders, and goalie Wardwell.